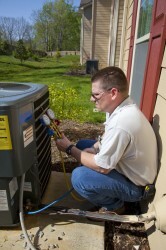 Making the decision to call an HVAC technician is about much more than simply choosing a company to get the job done. It’s also important that you choose a business that employs technicians who will respect you and your home as they complete the task at hand. 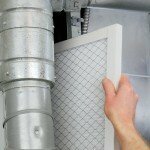 Listed here are 10 qualities that every HVAC tech should possess. Upon arrival at your home, the technician should be presentable and dressed in a uniform that clearly identifies the name of his or her business. You should be able to see a nametag, as well. Because the tech may need to go back and forth from inside your home to the outside of your home, it is important that he or she take the time to wear boot covers to protect your carpeting. If these are not available, vinyl runners should be present. No matter which company you choose, you should be given a timeframe for arrival which should generally be a one- to two-hour window. The agent should arrive well within that window. In many cases, you can learn about a company’s reputation for showing up on time and getting the job done quickly. Nothing is worse than waiting for a technician to arrive only to discover that he or she does not have the right tools to finish the job. If parts for your unit are needed, it is normal for some of these to have to be ordered. However, even this process should be fairly quick. While it may not seem incredibly important if your technician’s truck is dirty or clean, keep in mind that a clean vehicle is a sign of respect and pride for that business. After all, it’s likely that the truck is bearing the business’s name, and it’s important for it to be clean and well-kept. When the tech has finished the project at hand, he or she should do everything possible to return your home to the condition it was in prior to his or her arrival. This means properly disposing of any garbage, putting away his or her tools, and ensuring that nothing is left behind for you to handle. Your technician should be very friendly and a pleasure to be around. He or she should be able to answer questions when asked, speak to you while making eye contact, and provide all of the information you need to make the best decisions possible for your and your home. While there is nothing wrong with allowing someone who has only recently entered the industry to work on your unit, he or she should always be accompanied by someone who has plenty of experience in the field. In this manner, you can rest comfortably knowing that everything will be handled correctly the first time. The agent in your home should definitely be knowledgeable, but what will really stand out is his or her ability to explain what is wrong with your system or what will need to be done to fix it in terms that are easy to understand. 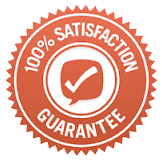 Finally, the technician should be able to enter your home, take a look at the problem, and give you a reasonable estimation of how long it will take to resolve the issue at hand. HVAC technicians have undergone training to be able to repair or replace your air conditioning unit, but their ability to take pride in their work and treat their customers with a friendly demeanor are things that cannot be taught in a classroom.